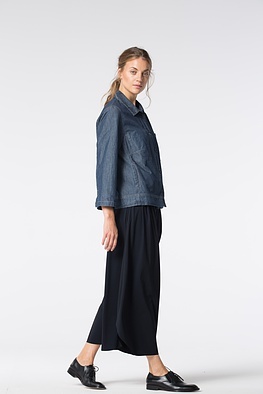 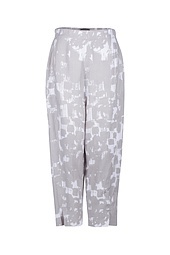 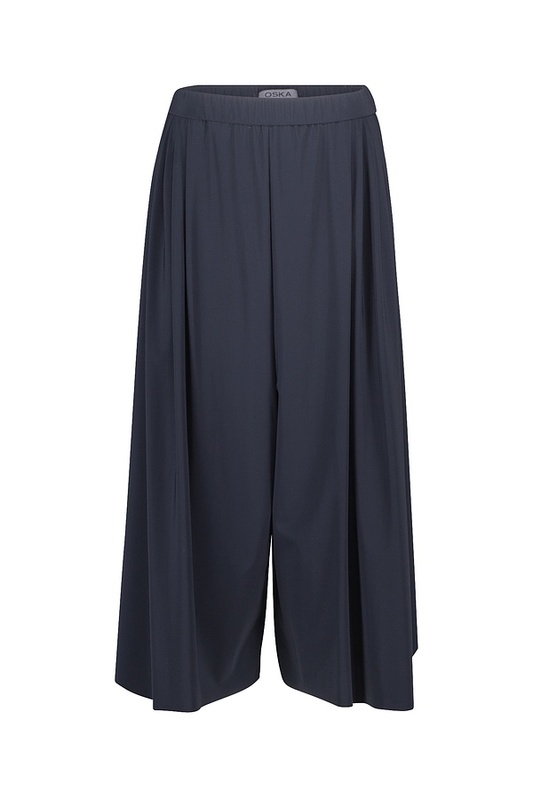 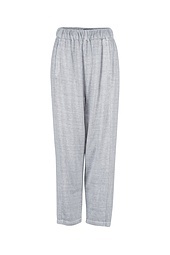 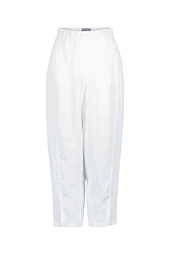 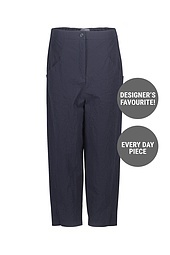 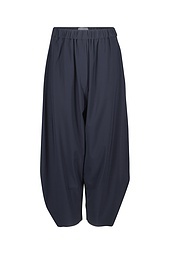 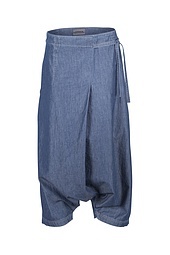 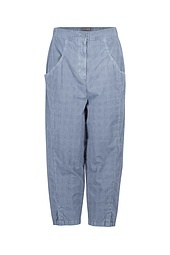 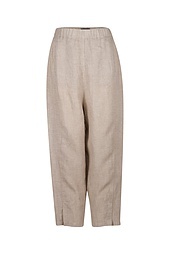 These OSKA trousers with extra wide trouser legs and characteristic low crotch have a lot of volume. 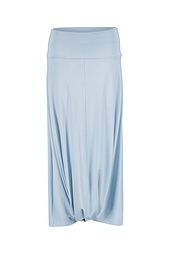 Sensually flowing fabric makes sure that the silhouette remains beautifully feminine. 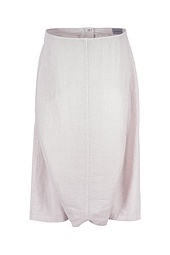 Short, boxy or narrow fitted tops are perfect combination partners for them. 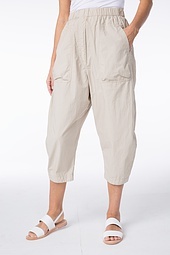 An all-around elastic waistband makes them super-comfortable to wear. 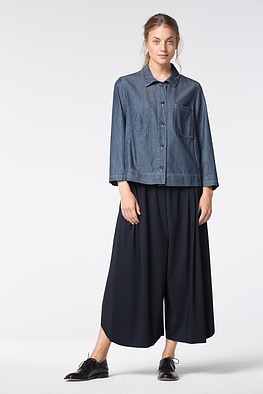 They have pockets on the sides.